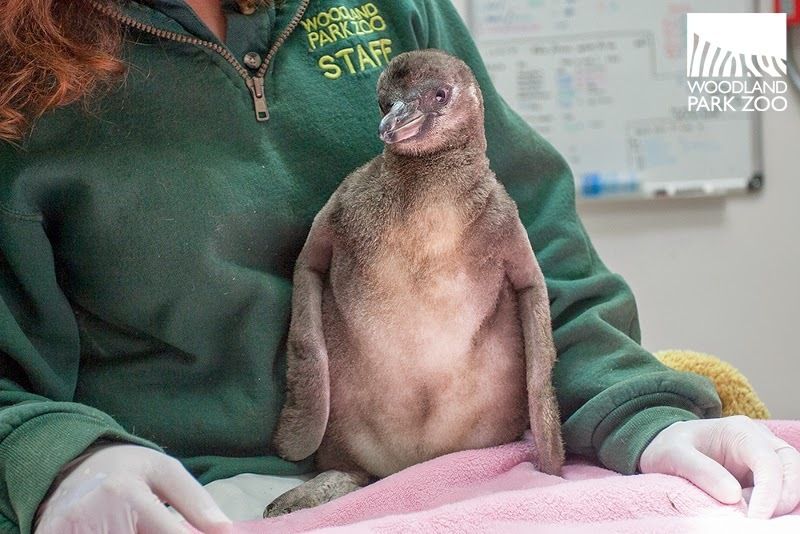 This is the 40th penguin chick hatched at Woodland Park Zoo since 2010, seen here at 45 days old. Photo by John Loughlin/Woodland Park Zoo. Our Humboldt penguins are a prolific bunch. Since 2010—the first breeding season in their new exhibit—our colony has produced 41 chicks! Earlier in the season, we were counting up eggs (yes, before they hatched) and got excited when we realized we were going to reach an historic 40th hatching. And though we love our round numbers, we won’t complain that one more egg was laid and number 41 came along at the end of May. This season alone, we had nine chicks hatch, with six already fledged and out on exhibit, and the three youngest—numbers 39, 40 and 41—still on the nest with their parents. These hatchings are all part of the Species Survival Plan (SSP) conservation breeding program across Association of Zoos & Aquariums-accredited zoos. Zoos work together through the SSP to maintain the genetic diversity and demographic health for this vulnerable species. With 41 healthy hatchings in just 4 years, Woodland Park Zoo is one of the most successful participants in the SSP program! 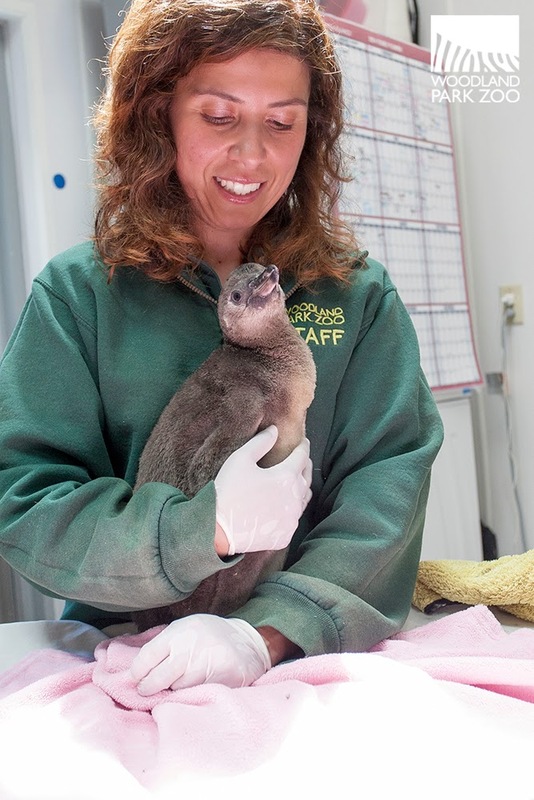 We joined zookeeper Celine Pardo for a weigh-in session with the 40th chick at 45 days old. This little one already has a great rapport with Celine. The keepers spend time with the hatchlings each day to get them used to handling and eating fish. The chicks are regularly weighed to make sure they are hitting their growth benchmarks. At 2.58 kg (5.7 lb. ), number 40 is healthy and right on track. On the scale. Photo by John Loughlin/Woodland Park Zoo. 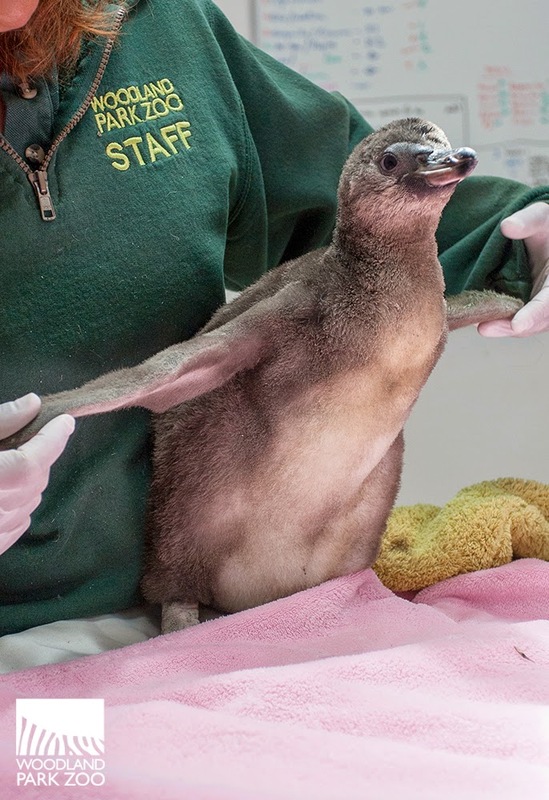 Weigh-ins continue through adulthood for Woodland Park Zoo’s penguins—keepers weigh each penguin once a month to track their health. We’re also able to keep a close eye on how the birds are doing by hand feeding them every day. This way we can make sure that each individual is getting their nutritional fill (about two pounds of fish each day, plus vitamins), and we can spot early on if any individual is showing a loss of appetite. 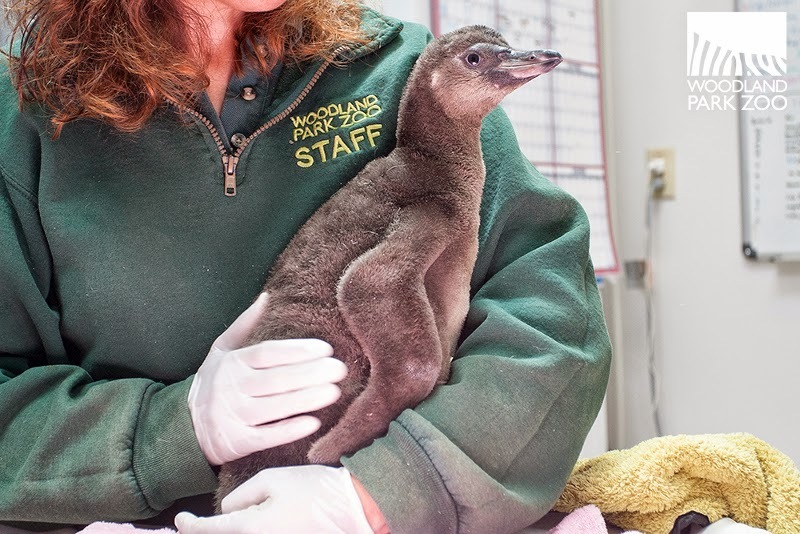 Wrangling a whole colony of penguins for feedings and weigh-ins is a lot of work for the zookeepers. Now imagine how challenging it might be for conservationists working out in the field who want to weigh wild penguins to track the health of threatened populations. Not surprisingly, it’s even more complex! 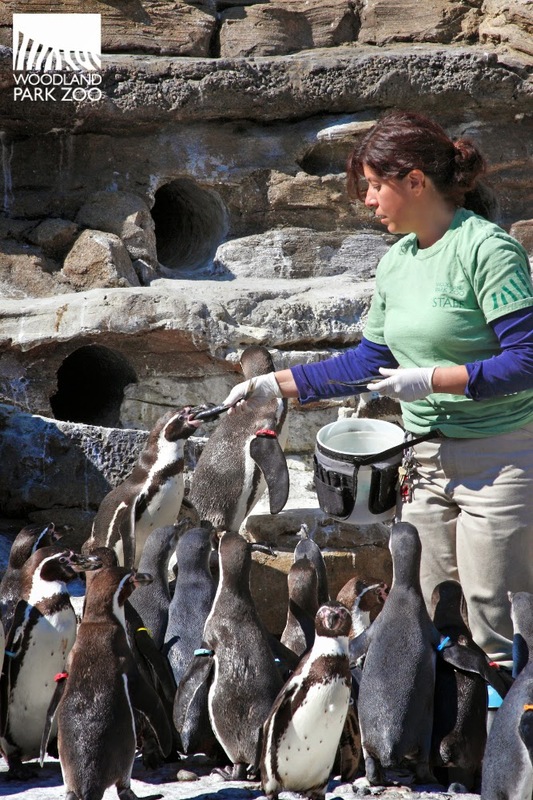 Zookeeper Celine hand-feeds each penguin on exhibit. Photo by Dennis Dow/Woodland Park Zoo. 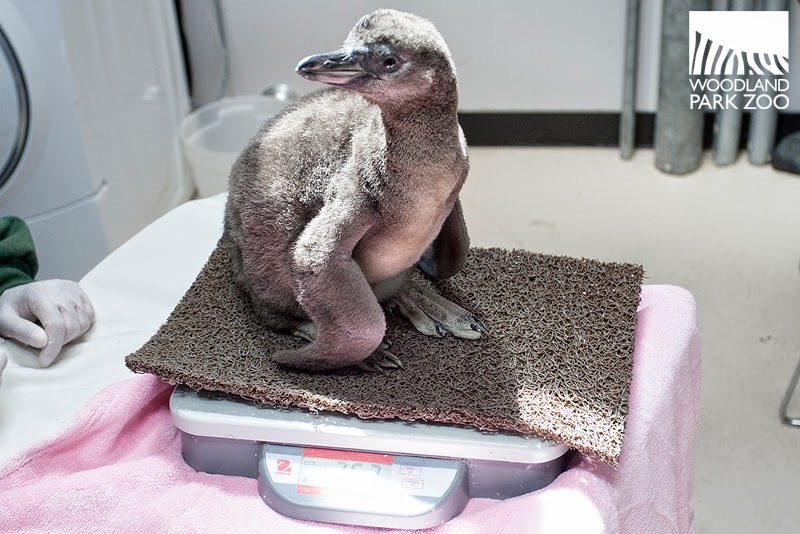 VIDEO: The Weight of a Penguin. Credit: Center for Penguins as Ocean Sentinels. 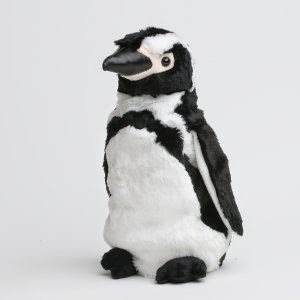 To help us continue the great care of penguins at Woodland Park Zoo and support conservation research and action in the field, you can adopt a penguin and become a ZooParent today! I love watching the penguins! I caught one of the talks about them at the zoo and was fascinated! It was so cute when the keeper had to stop talking to repremand a little guy for being pushy with another one or trying to take off with his shoe laces! Penguins are so amazing - I learned so much about them! I always loved seeing them but now I love seeing them even more.